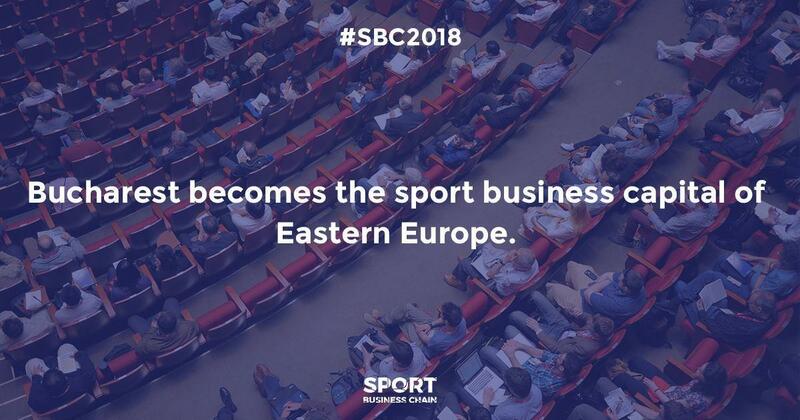 At the end of September, I will attend Romania’s and probably Eastern Europe’s first international event for sport business practitioners and enthusiasts. Why this first of a kind event is so important and how can it inspire change in an old-fashioned and often left-behind system? Read on to find out more. The above is already industry best practice in the Western countries with well-established roots for all the areas of sport. Professionals are eager to learn from each other and not afraid to try new things. That’s why it’s time for Eastern Europe to step out from this shadow and get back in track with the business side of sport. With a high level of media attention and significantly high amounts of money being spent, football keeps incorrectly being associated with sport. Are the events like Sport Business Chain the key to bridging the gap between football and other sports? “This is a question I have no right or wrong answer to. Football is, indeed, a sport that gets high levels of media attention, lucrative sponsorship deals and top-notch technologies.” admits Cosmin Albu, Co-Founder of Sport Business Chain. “However, the available revenue streams – be it from sports marketing, fan engagement campaigns, online exposure, sponsorship activation or grassroots development – are the same. Thus, there is no reason for such an event whose aim is to discuss how can sport organisations become more financially sustainable not to help other sports, as well. In the end, it’s up to the people involved in that particular sport organisation to embrace the learning journey, activate a creative mindset and eradicate ignorance; what I mean by this, is that we all need to be willing to test everything before we jump to the conclusion that it doesn’t work” continued Cosmin. I am really looking forward to listening to the presentations of Nick Speakman from Sporf and Ehsen Shah from B-Engaged – two of UK’s innovators who entered the industry bringing in fresh ideas and ready to re-define the way things were conventionally done. Romanian speakers, such as George Ogararu, Andreea Ogararu (speaking about the Dutch football ecosystem) and Virgil Stanescu (president of Sports-HUB) ignite excitement too, so all three days will be full of invaluable learnings. If you’re a sport professional or enthusiast, I am looking forward to meeting you at Sport Business Chain. Give me a shout on LinkedIn to let me know if you’re coming! Previous Previous post: Why football still matters?